Congrats to Scrappy Sue you won yesterdays card give away. I'll send it out to you in your next kit. Here is a full on shot of the sneak peek you got yesterday. Come next week this blog of mine is going full tilt Valentines Day! My personal favorite crafting holiday. Just to tempt you a bit here are a few more sneak peeks of Valentine projects coming soon. Card Give Away Day... with a twist! Today I'm giving away card, like almost every Tuesday. Today there is a twist, I'm just giving you a sneak peek. Here's a few hints... It's super cute, red... the color of love, and it will be perfect for that someone special for Valentines Day. For your chance to win, leave me a comment and tell me what your favorite Valentine color combo is. Traditional or something else? Get an extra chance to win by signing up for my email list (top right corner, on the sidebar). Scrumptious Valentine goodies coming up for the new year and you won't want to miss out on my first newsletter for 2010. You know what they say about the pedlars son never having shoes. I'm the card maker that just about let the season slip by without making any holiday cards for my family and friends. But Saturday night I caught a little bit of the guilties. Yesterday morning I set to work on some cards. They had to be simple and I had to recruit some help. I pulled out some cardstock and printed out a sentiment on the outside. Flipped them over in the printer and printed the insides. Meanwhile hubby was trimming the photos we printed at home and the red mats made from some scraps I had. I added some glitter glue, the matted photo and that was it. Simple simple simple... just my style this year! now they are in the mail and I am so happy I took the time to do it! See you tomorrow for card give away day! It is to say that Christmas is only 9 days away. 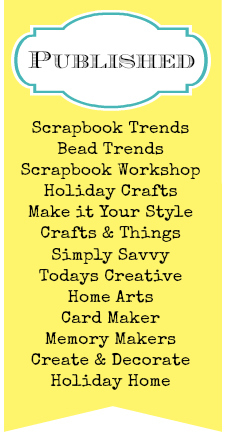 Busy in the craft room this week. It's kind of a room with a split personality. Half is dedicated to Christmas, making packages and cards and special little handmade touches for gifts. The other half is dedicated to 2010, making kit/class projects for the first quarter, theres alot of love going on. And smack in the middle is my "little black book" aka my calendar that is filling up quick for the whole year long. Like January 6th...announce a little something that Steph and I are cooking up and the last week of Jan is CHA (the week all the new crafting products are released), Feb. 4th my baby will turn 12, Feb. 5th is a day with big plans and theres hopes laid out all over one weekend in May. I just love looking forward to a new fresh year. Touches of silver glass glitter... one of my favorite Christmas touches this year. Even use bigger glass shards to fill up button centers. Tinsel glitter on a snowflake makes a cute tag for someones present. Maybe Grandma, thats one of her buttons there in the center. Today i'm going to finish up my holiday shopping and then let the wrapping begin! Hope you have a great Thursday. One more day till the girls are off for Christmas break. I'm really looking forward to a break from school. Congratulations to Marian H you just won yesterdays card give away. Email me your address and i'll send it right out to you. Outside my Window: There is a family of finches that I watch every morning. Peep... peep... peep... they are very early risers. I am Thinking: I love Wednesdays. Short day at school and lunch with friends. I am Learning: It's impossible to make everyone happy at the same time. I am Wearing: Jeans and a henley. I am Going: to snuggle my kids so much tonight they beg me to stop. I am Hoping: That my girls grow up to be happy people. I am Hearing: The quietness of the morning. Around the House: Two girlies are starting to stir and are getting ready for school. A Few Plans for Next Week: Christmas Everything! A trio of christmas projects. 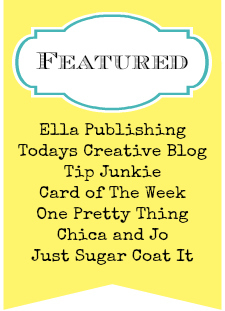 My favorite blogging day of the week... because I LOVE to give away cards. For a chance at todays card leave me a comment and tell me... are you ready for Christmas? Come on let's hear you all spill it. I need you to make me feel better about how behind I am. My faith in myself lies in your hands to tell me that I'm not alone in this boat. Please tell me you are procrastinating by reading blogs instead of wrapping gifts and baking. Please, please, please. Congrats to McLady you're lucky comment was picked randomly by my daughter tonight. Shoot me an email with your address and i'll get your card off to you. "You take all of the work out of the card business. 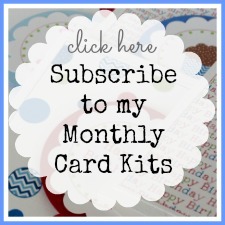 I'd love to see more thank you and blank cards kits this year." Hope you have a fabulous weekend. I'm going to try to get some shopping done so I have some gifts to put under that tree. I'm going to leave the card give away open for one more day, i'm up to my ears shipping kits. Want and extra chance to win it? Sign up for my newsletter (over there on the right). I have some new things happening in the new year I don't want anyone to miss. Also i'm about to make my last trip to the post office before it gets crazy for the holidays so check out the Past Kits and More Kits and get them now if you want them before Christmas. Got a little crazy editing this photo but it's COLD here. It rained like crazy all day yesterday and I just know when the sun comes up there will be snow on the mountains outside my window. Have a beautiful "warm" day! And Wondering how your weekend was? Did you do anything fun to celebrate the season? Saturday we got down to business and got all the holiday decorations up. I'll have some photos later on in the week. Last year we really cleaned out a lot of decorations we don't use anymore and organized the ones we had. Things to use and things to keep but there just isn't room for. The organizing made all the difference. And I didn't even have a nervous breakdown putting the lights on the tree. They actually all worked. The girls were also alot more help this year. There were no fights over who got to hang which ornament. And Niguel could reach the top of the tree, but I missed those years when every ornament was hung on the bottom three branches. We also put out outdoor decorations (we've been slacking in this dept. the last few years), but it sure made the girls happy. As for Sunday I'll paint you a picture... One girlie in pj's all day watching a Harry Potter marathon, one girlie playing outside all day with a friend, one hubby on the couch lounging and relaxing, and me in my craft room with the fireplace going. I got a TON accomplished. Sure feels good to have had productive but relaxing weekend. So tell me, how was your weekend? So happy to have a card give away today, haven't done one in a while. So leave me a comment and give me an idea for a card sentiment and i'll pick a winner from the comments Wednesday night. PS... I made this card with one piece of scrap paper (the green polka dot) and all the rest came from this mini kit. Check It Out Here There are a few more left.